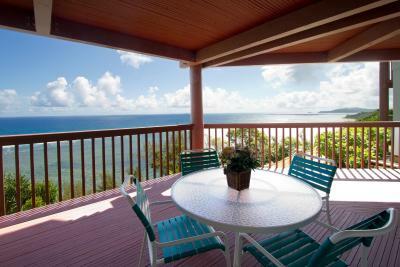 Lock in a great price for Wyndham Shearwater – rated 8.8 by recent guests! The double bedroom suite is huge. Kitchen was fantastic. Big and roomy. 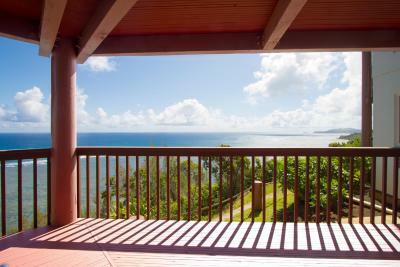 Large terrace overlooking ocean. It felt like Your own apartment. It was so cozy and convenient that we opted in for cooking dinner inside almost every evening. But You should have a car - all beaches, dining and food stores are a drive way, so renting a car is a must. The Princeville is a nice town that You pass and the way to the beaches and hikes, so shopping for food was convenient, great wild caught fish variety and steaks and fruits and with a grilling pit at the hotel - cooking is a breeze. Very spacious, great views, well-appointed. We had an excellent (special) rate for this size and level of this property. Their sister properties are open for your use. We played tennis at the other location. Laundry in the unit was nice and a store was very close by. The view was fantastic!! Great sunrises. 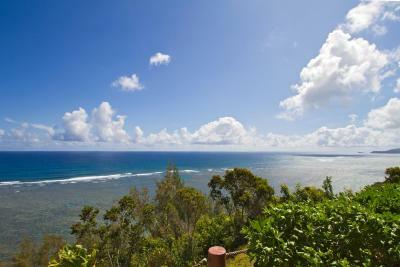 This property was in a fantastic area with easy access to key beaches and hikes on the island. Really loved the layout and access to the outdoor space for family meals, and relaxing. Location is amazing. Beaches are remote, seculuded, and wonderful. Spacious, big balcony and well equipped kitchen. 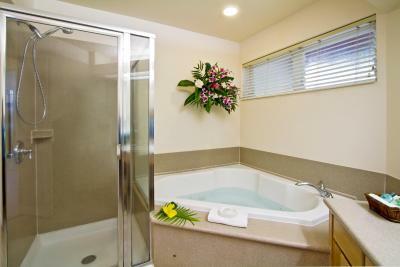 Ensuites in both bathrooms. 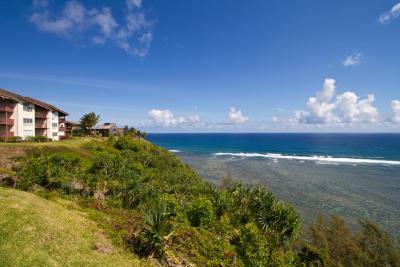 Princeville great but need a hire car to explore the island. We loved the view from our balcony and how spacious the apartment was. The value for money was great too and the location pretty good as well. Wyndham Shearwater This rating is a reflection of how the property compares to the industry standard when it comes to price, facilities and services available. It's based on a self-evaluation by the property. Use this rating to help choose your stay! 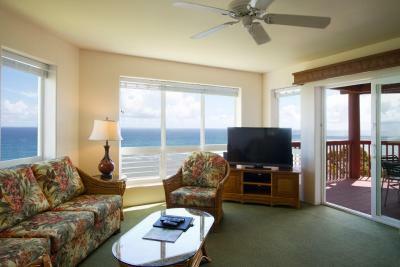 One of our top picks in Princeville.Located in Princeville on Kauai’s north coast, Wyndham Shearwater offers fantastic ocean views. It has an outdoor pool and apartments with a private terrace, free Wi-Fi and a spa bath. The apartments at Wyndham Shearwater feature carpeted floors and great views. Each one comes with flat-screen cable TV and a DVD player. There is a kitchen with a microwave, coffee-maker and a washing machine. 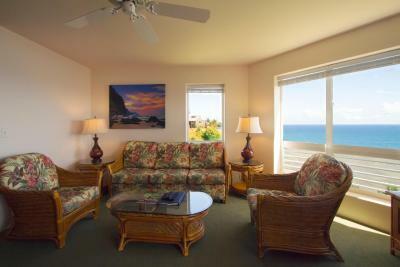 The hotel offers massage services, and staff can provide information about what Hawaii has to offer. There are plenty of jogging routes in the surrounding area, and Woods and Princeville Golf Courses are next door. Wyndham Shearwater is 1.2 mi from both Hanalei Beach Park and Princeville Ranch Adventures, where you can go on various treetop zip lines. 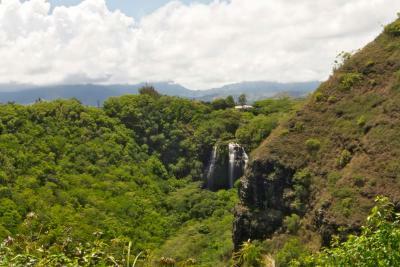 Lihue Airport is 45 minutes' drive away. 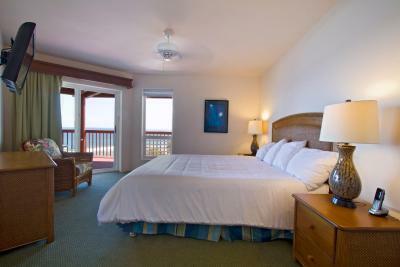 When would you like to stay at Wyndham Shearwater? 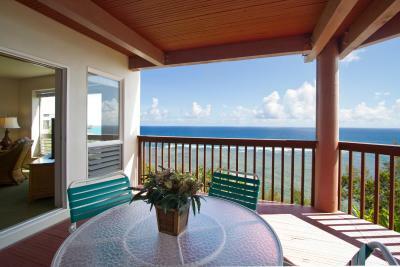 This 2-bedroom apartment includes amazing ocean views, ceiling fans, 2 bathrooms, a spacious living room, a dining area and fully equipped kitchen with full-size appliances. Please note: The is no air-conditioning in this accommodations. This apartment can accommodate a maximum of 6 people, including children (bedding varies). House Rules Wyndham Shearwater takes special requests – add in the next step! Wyndham Shearwater accepts these cards and reserves the right to temporarily hold an amount prior to arrival. Beware! There is no a/c, maybe I didn't read the description closely enough. Luckily we came at a time of year when open windows and fans made it comfortable enough most of the time but if you run hot I would avoid. Can hear every from neighbors since windows must stay open but community is not too noisy at night. There were roaches in the kitchen and after I was extremely itchy and with several bites we searched around and spotted a couple of fleas in the bedroom. Additionally, this is a timeshare and they try to sell you which is a time drain and kind of annoying. The description of the apartment on your site, Booking.com said the unit included a jacuzzi tub in the bathroom. After a long day of travel, I was looking forward to the tub. Needles to say, I was disappointed, as we got a handicap unit that included only showers with railings and a shower chair. -Pool in maintenance on-site, but possibility to use one on other premisses taking the car. -Some noise with pool work the 1st day, but it stopped after we complained. 4 free devices only on WiFi - why? Check in at another Wyndham location was a little unclear if not for previous reviews. The only thing we didn't like was that some neighbours were smoking next door and as the apartments are close to each other this was a problem. We notified the staff as smoking is forbidden and they quickly took action. There isn't much within walking distance so a car is essential. 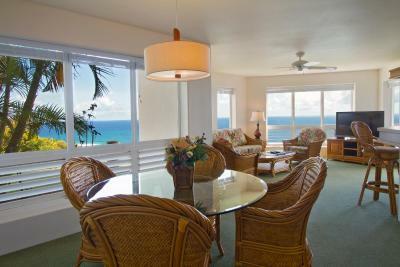 Large, clean apartment with everything we needed (crib, dishwasher, washer/dryer, parking) and great ocean views. 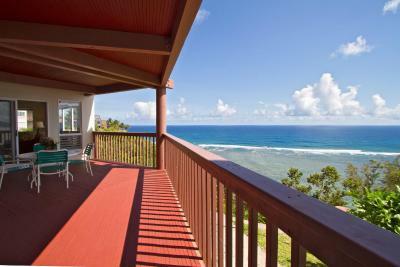 Good value for money as Hawaii is very expensive. Would stay again. Just note that check-in is at a different Wyndham which we only knew from reading reviews. Wyndham is trying to run as cheap as possible with furnishings, lighting, and maid services. Sales pitch on time share/purchase program was terrible. The property was beautiful, quiet and above expectations. 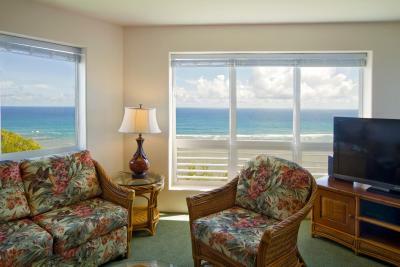 The condo's rooms are huge, immaculate and inviting. Check-in was at a sister property. Less than a mile away, but still an extra step. The bed was very firm and cheap feeling. They could use a memory foam topper for sure.